We should take note of two very famous systems that Lansing perfected in these years with Altec. The 604 coaxial loudspeaker of 1943 was a very successful combination of a small multi-cellular horn mounted concentrically with a 15-inch woofer. Working with John Hilliard, Lansing developed the A-4 theatre system, a large two-way system standing about 8 feet high, which made use, for the first time in theatre systems, of a low-frequency enclosure that was not open in the rear. The combination of horn loading through the mid-bass region and porting in the low-frequency range gave the system a level of low-frequency performance in the theatre that had been unknown before. 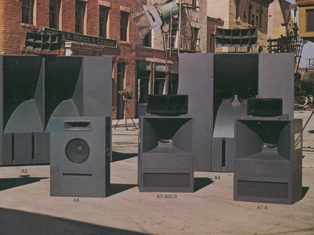 The high frequency section made use of a traditional high-frequency annular slit phasing plug driver with a three-inch voice coil, the model 288.The low-frequency transducer in the A-4 theatre system was the model 515 loudspeaker, a fifteen-inch loudspeaker with a three-inch voice coil. It was the first low-frequency transducer to make use of flat wire. These early systems used field coil structures for attaining high flux levels in the transducers, since the permanent magnet materials of the day were not strong enough to provide the necessary field strength for these systems. During the war years, the Altec Lansing Corporation worked on a magnetic airborne detector, an airborne submarine detection system of extreme sensitivity. George Carrington was quick to note that the high-energy magnetic material, Alnico V, used in this device would have great application after the war in loudspeaker designs. 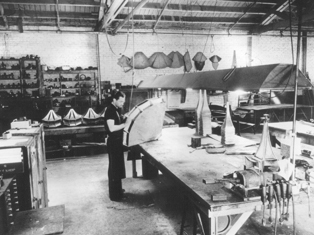 During the war years, Lansing’s energies and talents were channelled solely into transducer and systems engineering. 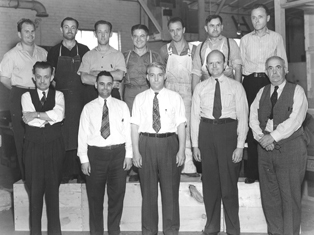 In 1941, when the Altec Service Corporation bought the assets, goodwill and trade names of the Lansing Manufacturing Company, Lansing agreed that he would not go into business for himself for a period of at least five years. 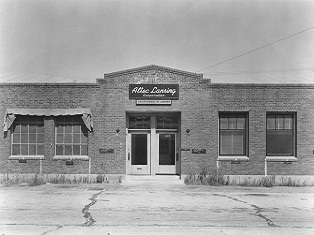 While there were continuing disagreements between Lansing and Carrington, Lansing did honour this commitment and in 1946, five years after the acquisition, he left Altec Lansing to form a new company. Everyone at Altec Lansing wished him well; they had known that he would eventually leave after the five-year commitment had been met.